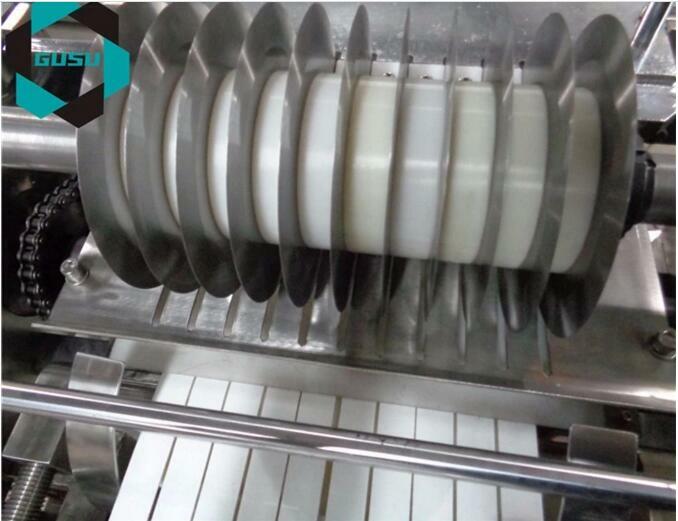 Gusu chocolate moulding machine is developed based on the latest technology over the world, pouring for three times and filling twice (crispy nuts and full nuts), It collects baking, moulding, rolling over, vibrating and cooling together. 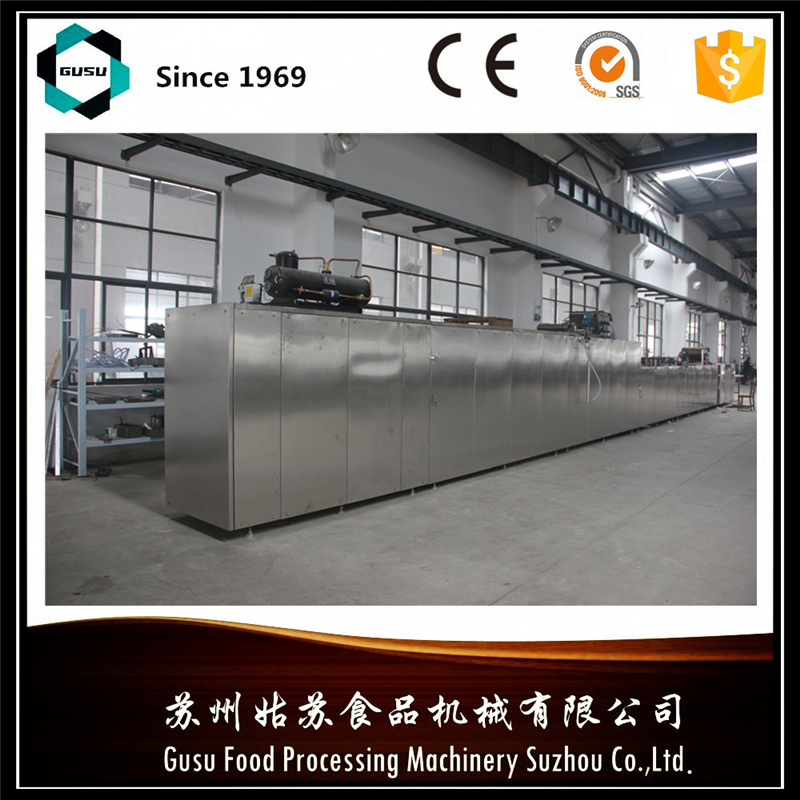 GUSU compound candy bar production line is used for producing all kinds of candy bars with full automatic continuously produce technology. 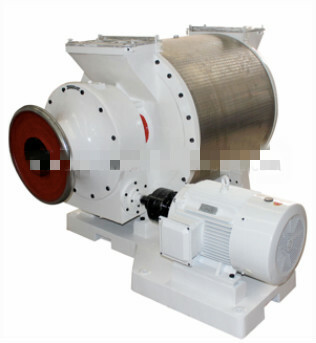 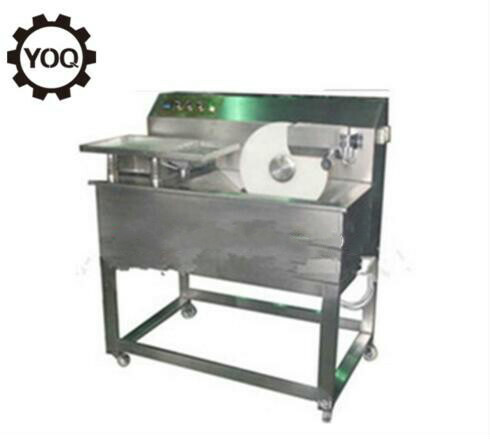 It has advanced technology to meet high production. 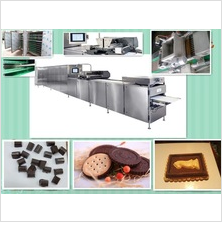 Using with the chocolate enrober together, it can produce all kinds of chocolate compound products. 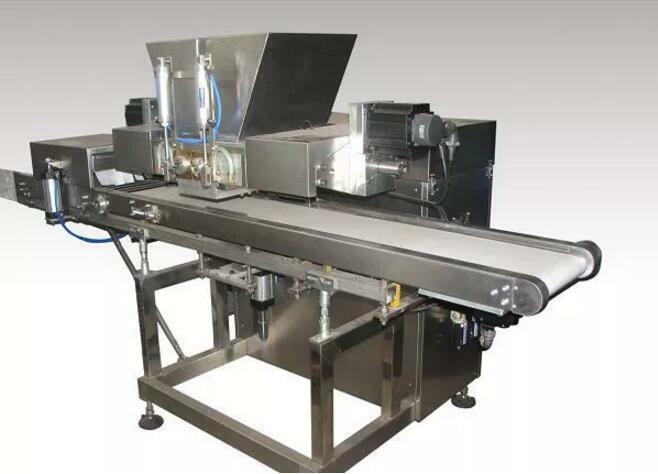 The moulding line is for chocolate deposit forming. 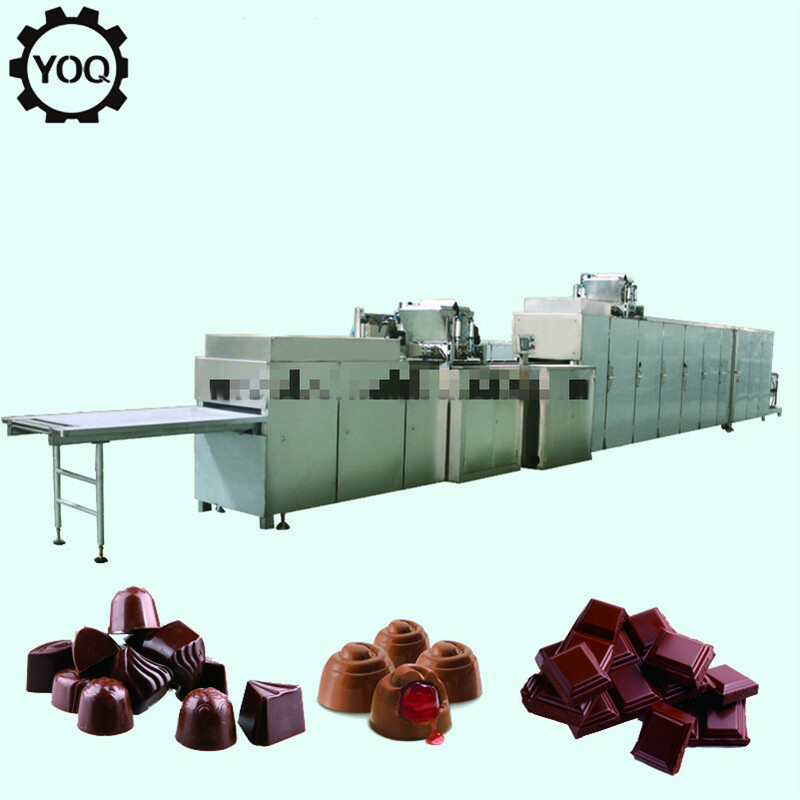 The whole process is fully automatic including depositing,mould plate vibrating,cooling,demoulding,conveying and plate heating.You can choose one head,two heads or three heads moulding line for different products.The line is suitable for pure chocolate,center filled chocolate,two color chocolate,four color chocolate,amber or agate chocolate,etc.